New event on now!! 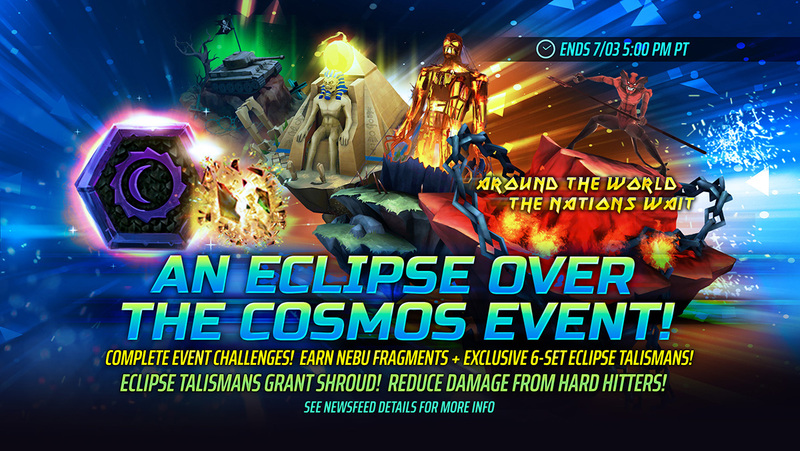 Earn New 6-set Talisman and Nebu Fragments! 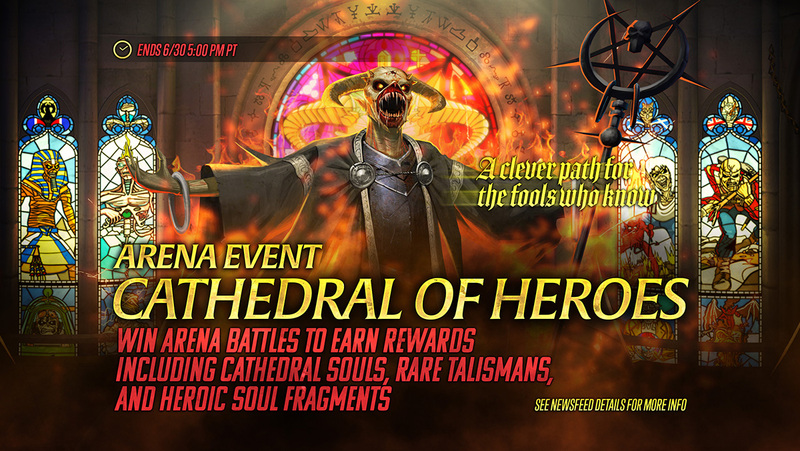 Divine Tribute Event Starts TODAY! 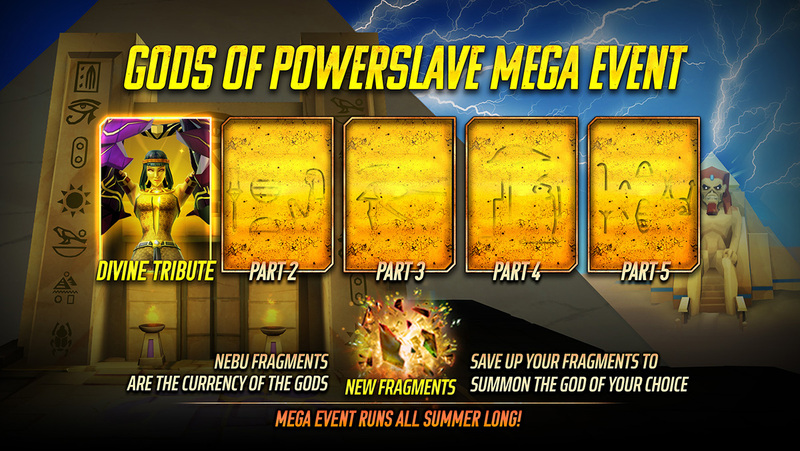 Gods of Powerslave Mega Event Running all Summer! 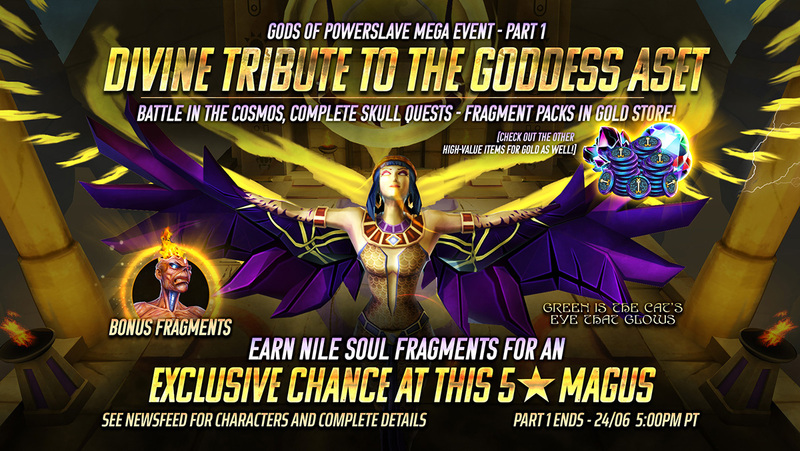 Earn Exclusive 6-set Primordial Talismans + Piece of Mind Eddie Fragments from Sacrifice! Beast Eddie is unleashed in Legacy of the Beast! Collect a 4⭐Gunner Angel of Mercy GUARANTEED in the Lord of Light!